The Datsun GO hatchback and GO Plus MPV was launched in India on 10th October. Datsun India has launched the 2018 GO and GO Plus in India and have signed up Bollywood superstar Aamir Khan as brand ambassador. 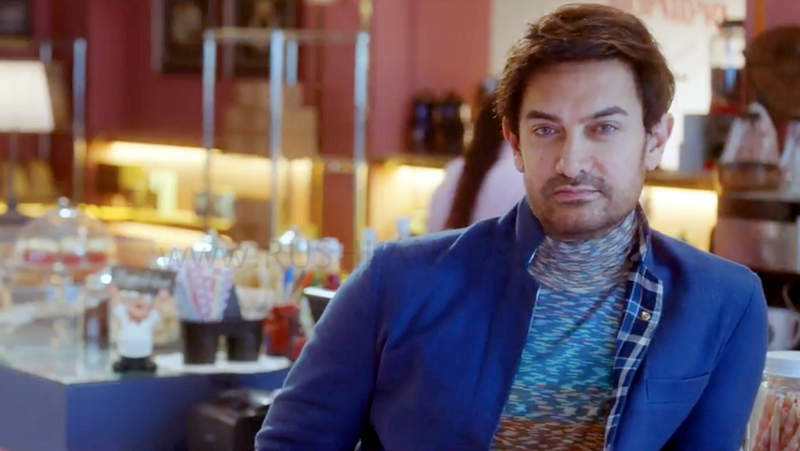 Aamir Khan is seen in the brand campaign “Experience Change”, a 360 degree multi-media campaign released ahead of the festive season. In the new TVC released, Aamir shows off the new Datsun GO and GO+ which have come in with new and more youth centric features so as to appeal to a younger and more adventurous segment of buyers in the country. The TVC details how the older generations do not welcome change as much as the youth of today. The scene is in a barber’s shop wherein a senior person comes in with a demand for the same old hairstyle while a younger customer demands the latest style. The customers show their approval with a ‘hmm’ where the older customer is concerned and with a ‘cool’ when the younger man gets a brand new Afro hair style. Aamir Khan is next in line for a haircut and states that he wants a Ghajini hair cut from his 2008 movie which saw a host of fans copy his style due to its exclusivity. In the same way, the new Datsun GO+ TVC is shown, but with a different setup. But the message same – Experience Change. Watch both the TVCs below. Go and GO+ will appeal to those who embrace change while the TVC takes a dig at the older Maruti and Hyundai rivals wherein there has been no change over the past years. Aamir details the new Datsun twins for their new and innovative exterior and interior features. Datsun GO and GO+ get new exterior color options of Amber Orange and Sunstone Brown along with existing color options. They two models receive new touchscreen infotainment system with Android Auto, Apple CarPlay, Google Map navigation and voice recognition technology. It is seen in a new dashboard design with instrument cluster, new anti-fatigue seats with sporty bolster and cushioning. Datsun GO and GO+ will see no change in engine specifications and will continue to be powered by a 1.2 liter petrol engine offering 67 bhp power and 104 Nm torque mated to a 5 speed gearbox as standard.